Welcome to another Arrow thing where we try to figure out an arc and make snarky comments at this show. Let’s react. 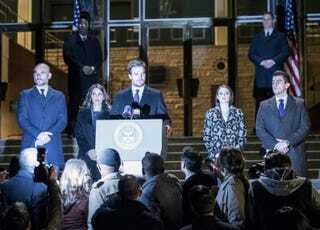 Episode Synopsis: Oliver faces his biggest challenge yet as mayor when Vigilante attacks him; Felicity continues down her dark path with Helix; Diggle leads the team in a mission to stop Vigilante once and for all.